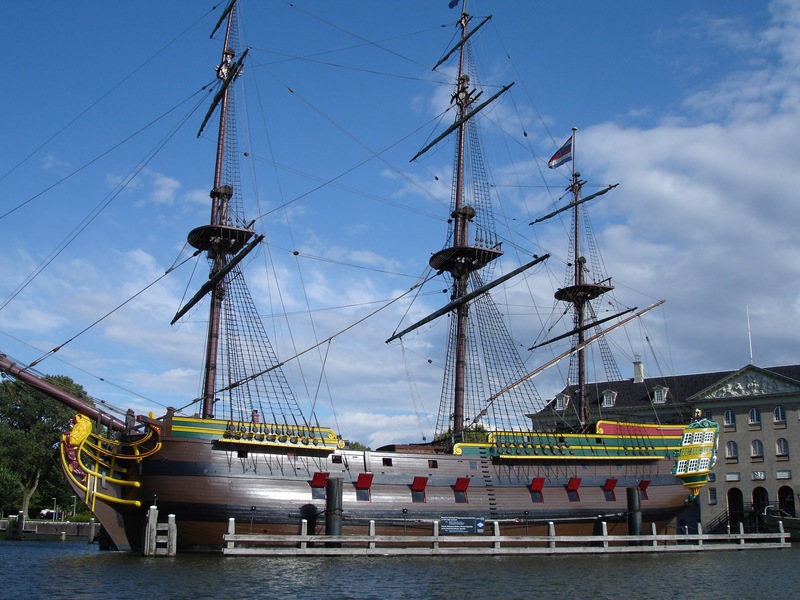 Amsterdam is famous for its many tourist attractions for adults, but did you know that it is also an awesome place to holiday with kids? It is unsurprising really, when you take into account that Dutch kids are rated some of the happiest in the world. 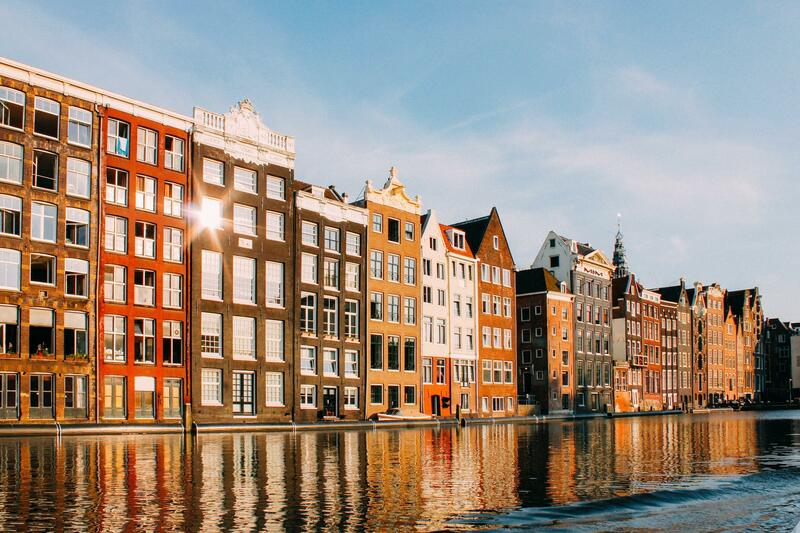 There are oodles of fun things to do in the ‘Dam. 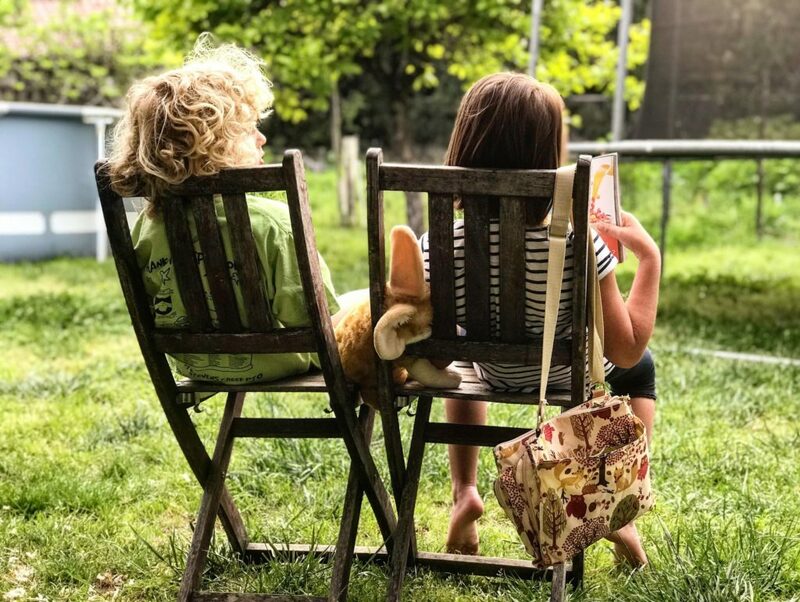 Here’s a list of some highly recommended activities, which will keep the littles in your life happy, whatever the Dutch weather decides to do! 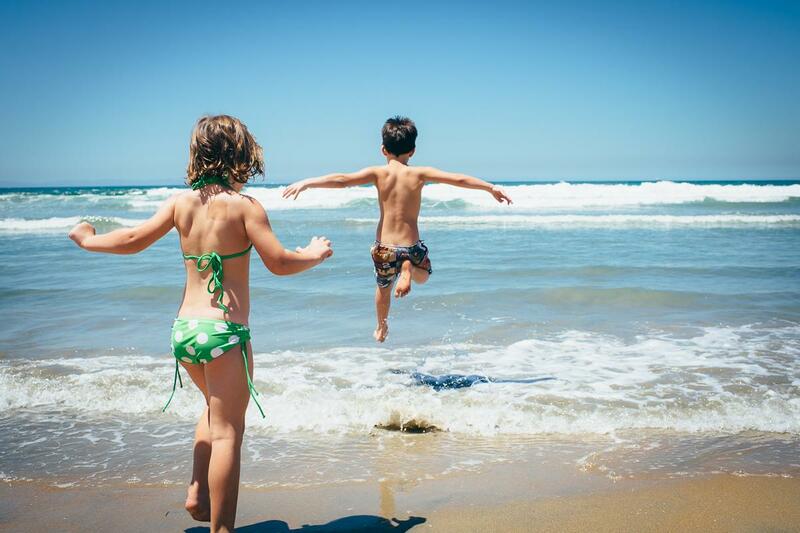 Grab a bucket and spade and head to the beach! Zandvoort aan Zee is easy to get to from Amsterdam. It has a long stretch of sandy beach and a multitude of beach bars and restaurants, each with their own unique play area for the kids. The sea is clean but it is so very cold, so unless the kids have antifreeze in their blood, they will probably be paddling more than full on swimming. Cool down at a local splash pool. There are many paddling pools in Amsterdam, which open May – September, but just to wet your whistle, here are a few to visit. Try the lovely Kinderbadje Beatrixpark or the fabulous splash pool in Amsterdamse Bos Pierenbadjes. They are both clean and have small snack bars and toilets on site. 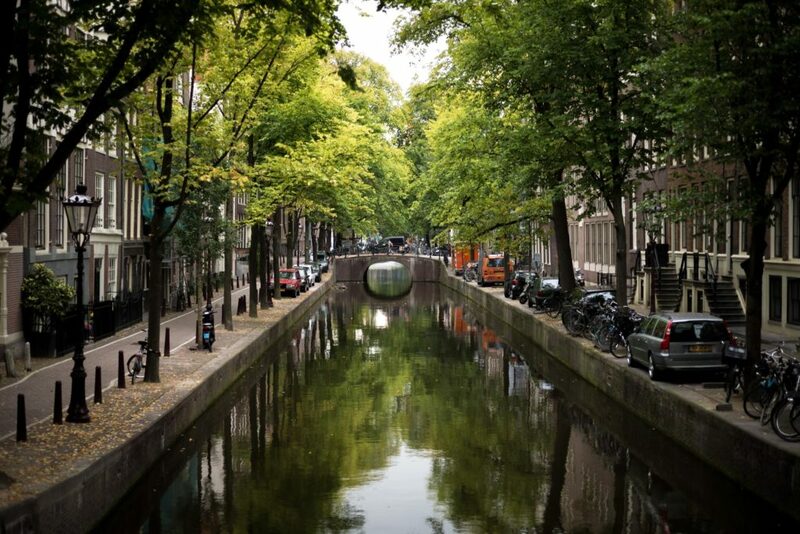 Take a boat trip on the canal and cruise the waterways of Amsterdam. Try a hop on hop off canal cruise, where you can buy a ticket that allows you to cruise the city over a 24 hour period, getting on and off the boat as many times as you want. This way you get to see the city from a unique perspective while you get around. On the Amsterdam pancake boat you can even eat freshly cooked pancakes as you sail! If your kids loved looking at the Dutch houseboats moored along the side of the canal, they can go and see inside one at the houseboat museum. If they would rather clamber around an enormous boat and find out what it was really like to work and live on board ships in the 17th century, visit the museum of boats. It’s no secret that the Dutch love to cycle everywhere, and what better way to see the city in a memorable way, than by flinging the smalls into a cargo bike and pedalling around? You can rent a bakfiets for a couple of hours and get around Dutch style. Near to Amsterdam is the beautiful Amsterdamse Bos. There are all the forest trails, open spaces and animals you need. You can easily get to the forest from the city by public transport or by boat for a cool way to get there. For a truly unforgettable experience, don’t forget to bottle feed some baby goats at the forest goat farm. Have a pawsitively great day. Artis zoo is located right in the city and open every day. Spend a happy afternoon animal spotting, take a picnic or eat at one of the zoo’s restaurants. If lions and elephants don’t thrill your kids because they aren’t allowed to touch them, then maybe head to a petting zoo instead? There are a loads of small animal farms in Amsterdam. Try the city farm in the Westerpark Amsterdam, or the De Werf. 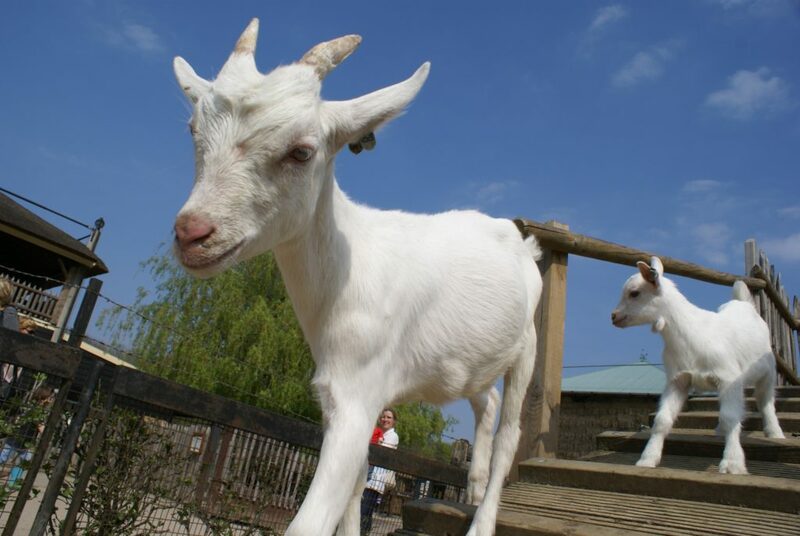 Your kids can get up close and personal with the animals, give them a cuddle and play. After all that activity, you are going to have to feed your kids and yourself. Luckily there are no shortage of places to eat and kids are welcome everywhere, but here are a few to try. Restaurant Vandaag has an all-you-can-eat menu and kids play area. The buffet is clearly labelled with allergen information, which makes it easy to feed everyone in the family, whatever their needs. 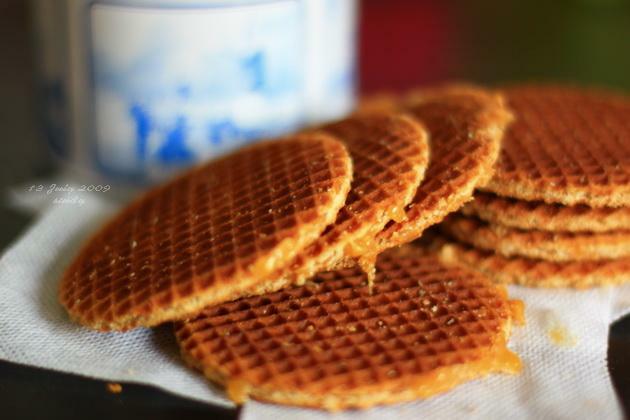 If you don’t mind getting your kids seriously sugar high, then go get a stroopwafel. (Two thin waffle-like wafers with a sticky, sweet syrup, spread in the middle. They are all shades awesome). You can have one made while you watch at the stroopwafel stall in the middle of the Albert Cuyp market in Amsterdam. If the weather takes a turn for the worst and you need to be indoors for a few hours, try one of these rainproof ideas. Spend some quiet moments reading together and pop into a library. Try the OBA de Hallen – it is spacious and has a lovely kids area. Afterwards you can head next door to the gorgeous cafe with a play space for kids. If you are determined to stay indoors, or if your kids just have to get their energy out before they explode, then head to a trampoline hall or an indoor playcentre. If your little artist would rather make than see an original, then compromise and do both! Take a trip to the Van Gogh museum and get inspired by the master himself. Then follow this by going to the Kids Art Club at Het Groot Melkhuis in the Vondelpark, where your creative kiddo can paint away to their heart’s content. The Netherlands is famous for its windmills. 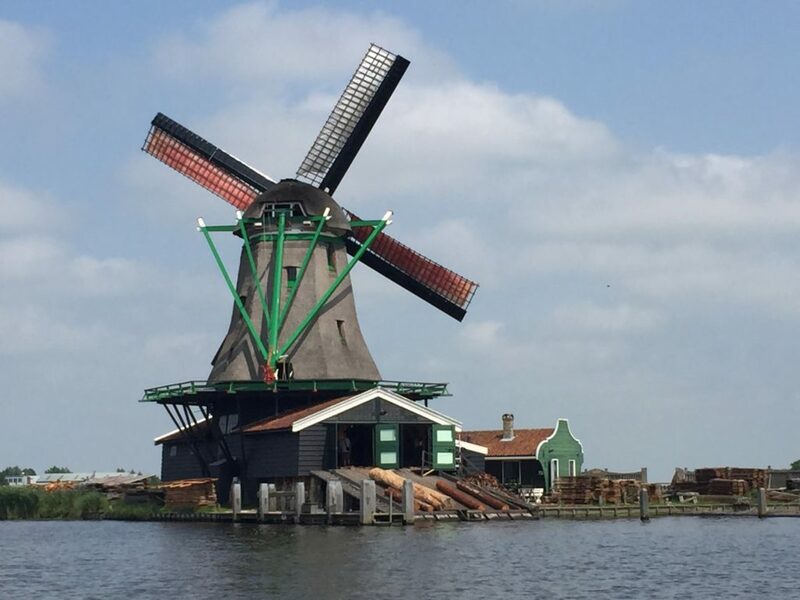 In Amsterdam alone there are nine … grab a map and go windmill spotting! A 40 minute bus ride out of the city, but well worth the trip is Zaanse Schans. The kids will get to see real working windmills grinding spices and dyes and witness a wind powered saw mill in action. So what are you waiting for? Get your clogs on, grab your kids and go! Have an amazing time in the city where the happy kids live. Share a picture of your fun with us. If you have any other ideas, or discovered a gem for kids, let us know and we will add it to the list.